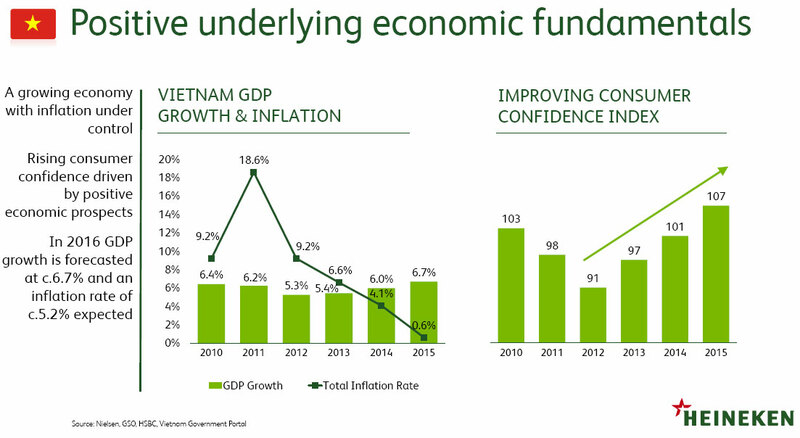 At Heineken Financial Markets Conference (Ho Chi Minh City, 11 May, 2016) there were made several detailed reports on Heineken strategy in Asia Pacific region as well as on the current state of Vietnam beer market. 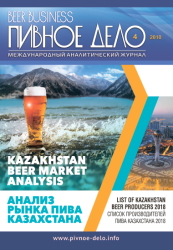 Below you will find a fragment of Vietnam market overview, represented by Leo Evers, Managing Director of Vietnam Brewery. Ltd (Heineken N.V.). 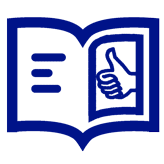 When you look at the market of Vietnam, you see that it is a very rigidly spread market. In the North it is predominantly dominated by Habeco, the Hanoi Beer company together also with APB Hanoi. In the Center of Vietnam you see Heu Brewery that is owned by Carlsberg and you also see a big presence of VBL, in the two provinces Da Nang and Quang Nam. And the South. That is predominantly the territory of VBL, Vietnam brewery and Sabeco. You also see here that the top four players (Habeco, Sabeco, Heu Brewery, and VBL) have more than 80 per cent of the total market today. 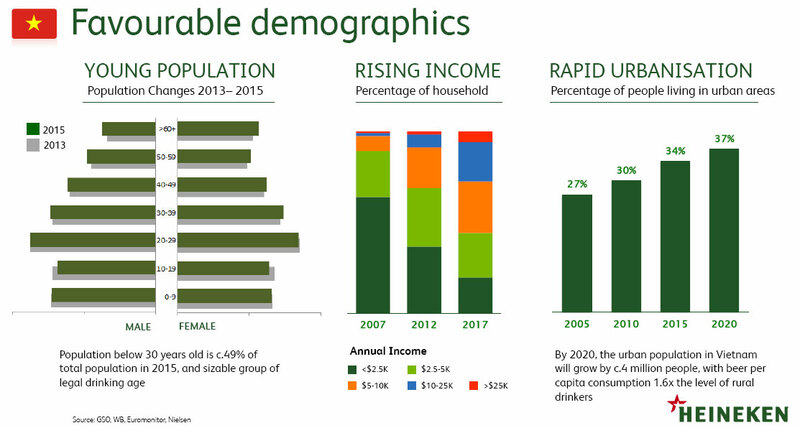 Then we should look a little more deeply at the demographics, because one of the keys to VBL success now and in the future is very favorable demographics. Young population, as 49% is in the age of less than 30 years, so on average 1 mln people enter the legal drinking age in Vietnam every year. When we look at the rising income it seems simple that every year, people earn more money. And they spend the money. And because of the big beer popularity in Vietnam they want to spend money on beer brands, and they want to spend the money on premium beer brands. The moment they have more money, they upgrade from mainstream brands to affordable premium brands and to premium brands. Thirdly, the rapid urbanization. Still very low in Vietnam, also when you compare to the total picture in Asia, but more and more people tent to go to the cities. And in the city the beer consumption is 1.6 times moiré than in the rural areas. And the urbanization is especially important in the premium sector. 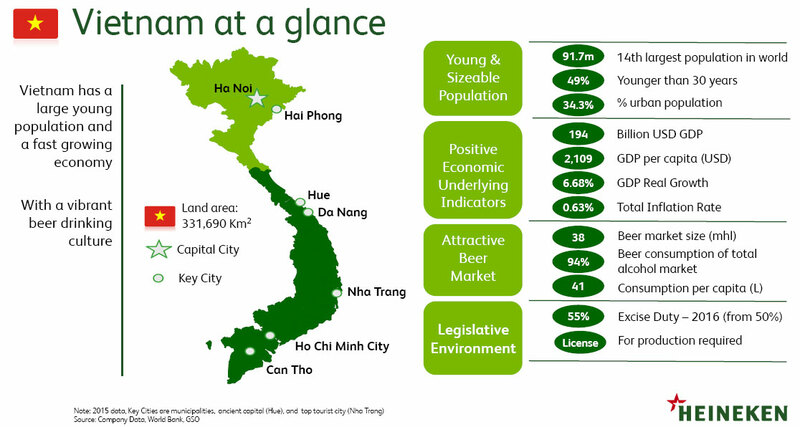 So very favorable demographics for Vietnam and also for our industry. The already mentioned GDP between 6 and 7%, so recently, yesterday, announced by the prime minister that he will stick to these 6.7% growth for 2016 also. 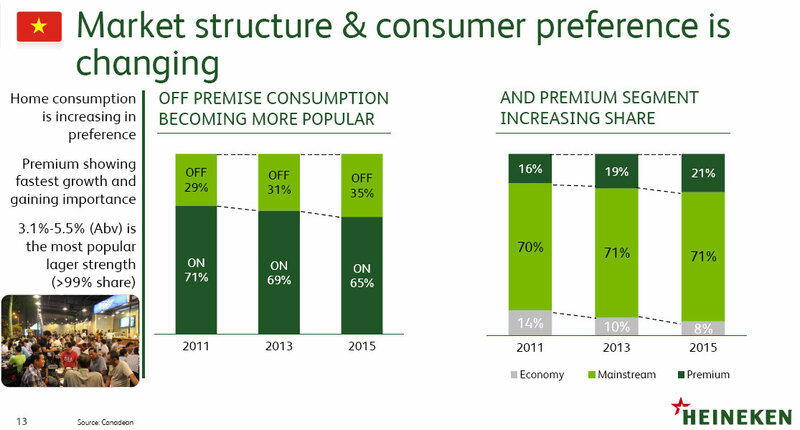 So you can see that the consumers are gaining more confidence, which of course very important for FMCG category and beer. In addition to this and I think it is also important to mention, we have here quite stable government, just reelected. And it is important to have a stable government where you operate. 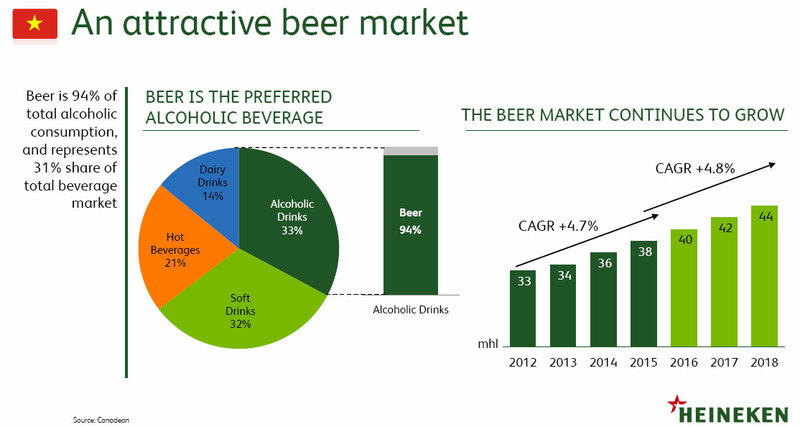 Again, another important point, it is a very attractive beer market. When I came here 3.5 years ago and saw that 94% of the total alcohol consumption is beer I was very surprised. And the positive fact that despite the fact that it is high, it is also going up. Figures are approximately 5% per year. And we expect that in the coming years the beer market will continue to grow. 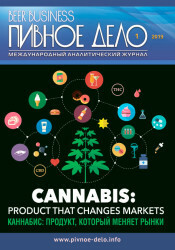 When you look at the shares of other alcoholic beverages, of wine and spirits, you’ll see that they are decreasing, So beer is increasing and other alcoholic beverages are decreasing at the moment. So here is a very attractive beer market. Afterwards when we go out of t\here and go to a small low-chairs, you’ll see that everyone is drinking beer, not wine. 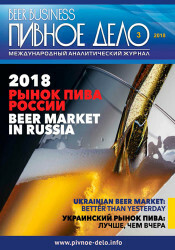 So, a very interesting beer market. And if we look at the market structure, you’ll see it a very big on-trade market. More in Asia people go out to wine and dine (in this case, to drink beer), so they are not staying at home. What you do see is that there is an on-going trend that people consume more at home, so you can see the off-trade channel increasing. Then if we look at the premium sector and that is good news for our sector here in Vietnam, we see that the premium sector is increasing. And you can also see on this slide that the economy segment is relatively low and it is decreasing, so, again, as I mentioned before, people, when they have more money, they spend it on affordable premium and premium brands.